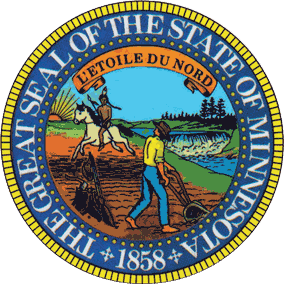 Minnesota Landlord Tenant Laws are set forth in the Minnesota Statutes, Chapter 504B, Landlord and Tenant. The rights and responsibilities of the parties to a landlord tenant agreement are provided in the statutes as well as remedies in the event that one of the parties violates Minnesota Landlord Tenant Law. No part of this information is meant to serve as a substitute for legal advice. Should you have questions regarding Minnesota Landlord Tenant Law or if you believe you have a case under these statutes, you should consult an attorney. Stay up to date on Minnesota Landlord Tenant Laws + Save money on tenant screening and other property management needs. Join AAOA today, it’s FREE! Our clients want more than traditional legal services: they want a business partner who shares their goals. They hire us because we understand business, focus on their goals, and partner with them to grow their companies. Our Minneapolis attorneys have a depth of experience that gives an advantage when advancing our clients’ goals. We are “hands on.” We value efficiency, responsiveness, and results. This includes taking time to understand each client’s business, strategizing together, and engaging in law with a business mindset. We don’t have a collection of divergent practices under one roof. We operate as a team united behind a common vision. This gives a laser focus, eliminating distractions from the needs of diverse and unrelated practice areas. Contact Aaron Hall, CEO & Business Attorney, JUX Law Firm at 612-466-0010. Does a Landlord Have the Right to Increase Operating Expenses if a Tenant Moves Out? No part of the Minnesota Landlord Tenant Law found on this website is a substitute for legal advice. If you have questions or believe you have a legal case you should contact an attorney. The legal information found on this page for Minnesota Landlord Tenant Law was not provided by JUX Law Firm. If a landlord claims there are damages that are the fault of the tenant, or that the tenant owes past due rent, the landlord must “furnish to the tenant a written statement showing the specific reason for the withholding of the deposit or any portion thereof.” If the landlord fails to return the security deposit, the tenant can collect damages “in an amount equal to the portion of the deposit withheld by the landlord and interest thereon as provided in subdivision 2, as a penalty, in addition to the portion of the deposit wrongfully withheld by the landlord and interest thereon,” in accordance with Minnesota Landlord Tenant Law. If a tenant fails to abide by the terms of the lease or with other statutes of Minnesota Landlord Tenant Law, the landlord cannot just take matters into his or her own hands. Section 504B.375 provides potential remedies to tenants where the landlord has committed acts of unlawful exclusion or removal. Landlords are prohibited from having utilities disconnected in a rental property where a tenant is residing. Landlords are also not permitted to change locks, windows or doors or otherwise exclude the tenant from the premises. Any attempt by the landlord to have the tenant waive this section in the lease or in any other manner is void and unenforceable. In accordance with 504B.155, if a tenant plans to vacate a rental property between November 15 and April 15, with the exception of a termination of the tenancy, is required to provide the landlord “three days’ notice of intention.” If a landlord brings a claim against the tenant under this section of Minnesota Landlord Tenant Law, the tenant is subject to being found guilty of a misdemeanor. Minnesota Tenant Screening provides landlords with the tools to weed out the unqualified applicants and to quickly turn over the keys to applicants who are likely to pay rent on time and not damage the property. It is imperative, however that landlords realize the importance of screening every applicant. Minnesota Landlord Forms gives landlords the comprehensive selection of forms needed throughout each tenancy and for every potential situation that may arise at any given time. With these tools, landlords are able to comply with many of the Minnesota Landlord Tenant Laws regarding the forms and notices to tenants. A key component of landlord tenant laws is also Minnesota Tenant Screening Background Checks. We’ve dedicated an entire page to it because of its importance. Visit Minnesota Tenant Screening Background Checks to screen your tenant. All states require a variety of forms to rent an apartment to a tenant and Minnesota is no exception. Check out American Apartment Owners Association’s Minnesota Landlord Forms now. Looking for landlord tenant laws outside of Minnesota? The American Apartment Owners Association offers helpful landlord tenant laws for all 50 states. Click on any of the states listed below and go directly to its landlord tenant law page. To visit the homepage of landlord tenant laws, click here.